Why does Google mail show "Via KnowBe4" on the phishing tests? Help! Phishing Tests Say "Via KnowBe4"
If you’re using Gmail and you notice that when simulated phishing emails arrive in your inbox there is an additional line of text by the FROM field that says "Via KnowBe4", you may need to turn off the return-path header in your KnowBe4 account settings. The reason this appears is because we set the address of pstbounces@knowbe4.com in every return-path header. It helps us to pass SPF checks, since most mail filters look at the return-path email address for SPF. 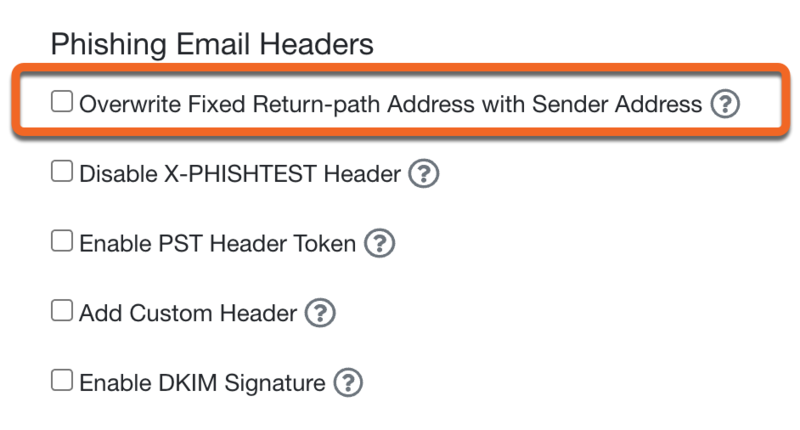 There is an option in your account settings to disable the return-path header so that it will no longer appear in your phishing tests. To find this, log in to your KnowBe4 console, then in the upper right-hand corner click your email address, then Account. On the page that follows, you'll see that you can edit some of your basic account settings. Scroll to the Phishing header, and you will see an option with a checkbox to "Disable return path header". Simply check the box and update your account info to save your changes. You can test out that the issue was corrected by sending a test phishing email to yourself. Keep in mind that this action does increase the possibility that our phishing emails will be flagged as 'junk mail'.